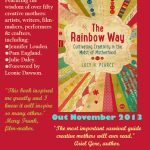 I have now printed out a complete second draft of my next book – the one I have been referring to as “The Creative Rainbow Mama”, which I hope to have out early in the new year. I just had a gorgeous picture shared with me of Facebook, that I’d love to have for the cover- does anyone know the artist? The book has done the round of publishers and agents and received many very nice “nearly but not quite” responses- so I am self publishing. And it’s really finding shape. 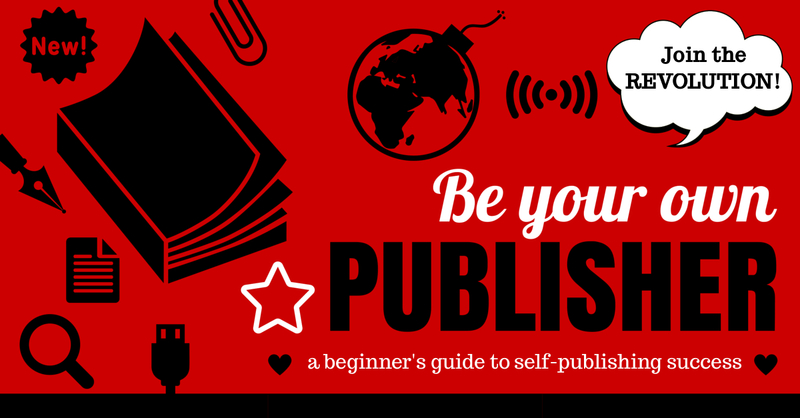 But to nail it I really need to get the title right, and I thought who better to ask than you, enthusiastic dear readers! How to weave creativity into your life as a family. I could REALLY do with your feedback. Please vote in the comments section below – 1, 2,3 or suggest your own. And tell me what works for you, and what doesn’t. The winning suggestion gets a signed copy of the book once it is published. If it ends up being one of my suggestions that you vote for then all those who voted for the final title have their names put into a hat and one of you will win! 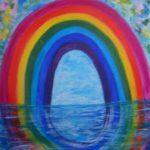 The Creative Rainbow Mama’s Guide to Creativity…and Life!